Download REWORTA from Google Play or Apple Store. 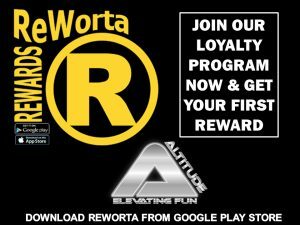 Everytime you visit Club Altitude – make sure you scan and earn points. Enjoy loads of Loyalty Awards.